No doubt that jojoba oil is one of the most potent “instruments” you can use to maintain your skin and hair. I will shortly mention its main properties and benefits regarding your health and appearance. Our today’s focus will be on what is the position of jojoba oil on the comedogenic list? 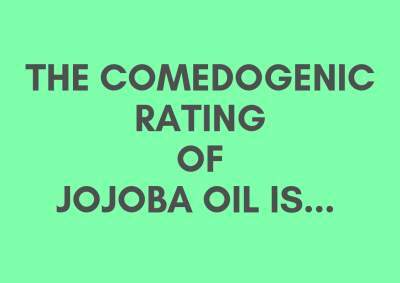 Is jojoba oil comedogenic? 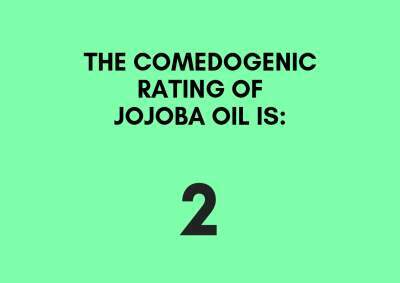 What is jojoba oil comedogenic rating? Can jojoba oil cause acne? Let’s start and find the answer of all these questions in the below lines! Why jojoba oil for skin and hair? It’s not that hard to answer this question. 1. It is rich in fatty acids like linoleic acid, linolenic acid, and oleic acid. Let’s not forget minerals like iodine, copper, zinc, chromium, silicon, and vitamins like C, E, B complex. 2. Jojoba oil is great in balancing your skin oil. Sometimes the sebaceous glands could not function normally, producing more sebum than needed. Jojoba oil can turn things in the right direction. 3. What is even more critical – it resembles the consistency of our sebum. Thus jojoba oil can act vice versa – moisturizing our dry skin, making it hydrated and vital. 4. Jojoba oil has an anti-bacterial and anti-inflammatory effect, opposing acne, eczema, psoriasis, rosacea, scars, fine lines and wrinkles. I will elaborate further on the anti-acne effect of jojoba oil in the next paragraphs. What about the benefits of jojoba oil for your hair? 5. It balances the pH and moisturizes your hair, as you can quickly shape your haircut after treating with jojoba oil. 6. As jojoba oil contains zinc and selenium, it successfully opposes dandruff. 7. It removes the build-ups and balances the hair components, supporting hair growth. And the answer is no. It’s among non-comedogenic oils for the face. How do we know this? 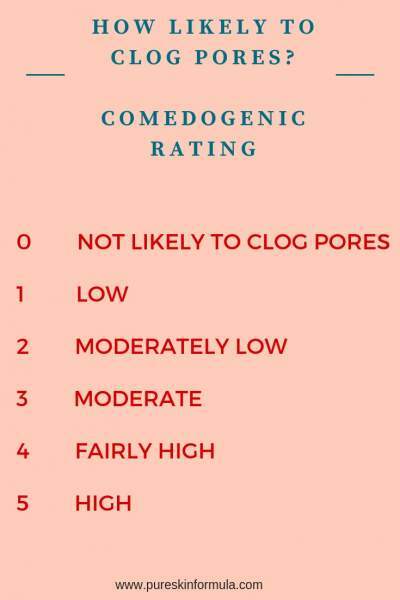 By checking the comedogenicity rating, which shows us how comedogenic is a component. It is a 6 point comedogenic scale, where the lower the rating, the lower is the probability that an oil is comedogenic. What’s the role of the pores? They are the home of the hair follicles. When the body produces more sebum than needed, combined with the dead cells on the skin surface, it can clog the pores. This is how we get these unpleasant pimples, called blackheads or whiteheads. Jojoba oil comedogenic rating is 2, which means “moderately low” chance to clog pores. When you apply jojoba oil on your face, it blends with sebum in a thin, non-greasy protective layer, balanced enough to allow skin breathe and at the same time “stamp” it against dehydration. The perfect combination, isn’t it? It is possible that one can experience a “purge” of toxins from their face. Usually, the jojoba oil purging period would last a couple of weeks. Just have in mind this potential effect, when using jojoba oil. By the way, shea butter is another beautiful way to protect your skin, with shea butter comedogenic rating of zero. How to use jojoba oil for acne and skin improvement? One of the reasons that one could suffer acne is the already mentioned super productivity of sebaceous glands’ secretion. It is usually met during the teenage period of a person, due to natural hormonal changes. But what happens sometimes is the issue is here even at a more mature age. You can mix 1 tablespoon jojoba oil, 3 drops tea tree oil and 2 drops lavender oil. Apply on the damaged face area on a daily basis until you feel the improvement of your condition. Blend 2 tablespoons smashed avocado, and 2 tablespoons smashed cucumber. Add a teaspoon jojoba oil and mix well. Apply the mask to your face and neck for 20 minutes. Rinse with warm water. This blend will clean and tighten your pores and will revitalize and tone your skin, as it will become smooth and hydrated. You can mix 1 tablespoon jojoba oil, 1 egg yolk, 1 teaspoon liquid honey and 1 tablespoon lemon juice. When you get this “cream,” apply to the skin and leave it for 15 minutes. Rinse with cool water. 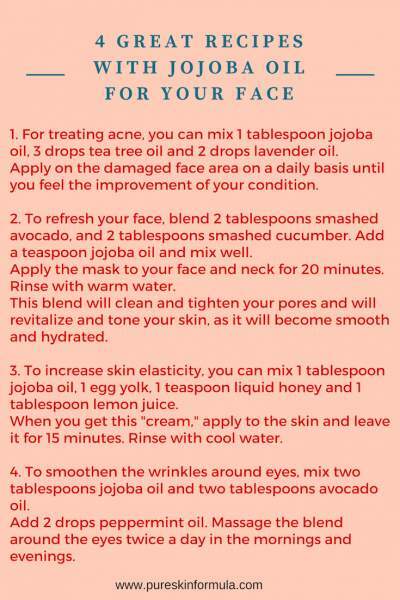 Mix two tablespoons jojoba oil and two tablespoons avocado oil. Add 2 drops peppermint oil. Massage the blend around the eyes twice a day in the mornings and evenings. There are plenty of products on the market. My recommendation is to use natural cosmetics, as the benefits are numerous. No wonder you will find jojoba oil in different types of skin care, and hair care products, like body lotions, soaps, cleansing kinds of milk, hair masks, baby shampoos, hair growth shampoos, and other. But how to find quality natural cosmetic products? Even better – how to find the right way, among so many solutions around you? Well, I’ve created for you basic guidelines, which will be your compass not to get lost, and to take care of your skin flawlessly. 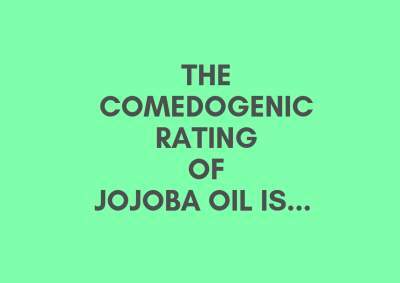 Is jojoba oil comedogenic? No, it is not, and you can freely use it for your needs, irrespective which way you will choose. Your next step? Search and test products with jojoba oil, which work well for your skin. Now you are familiar with one more instrument to treat yourself in the best possible way! I would love to hear from you! Do you (plan to) use jojoba oil? Leave me a message, and I will answer you!